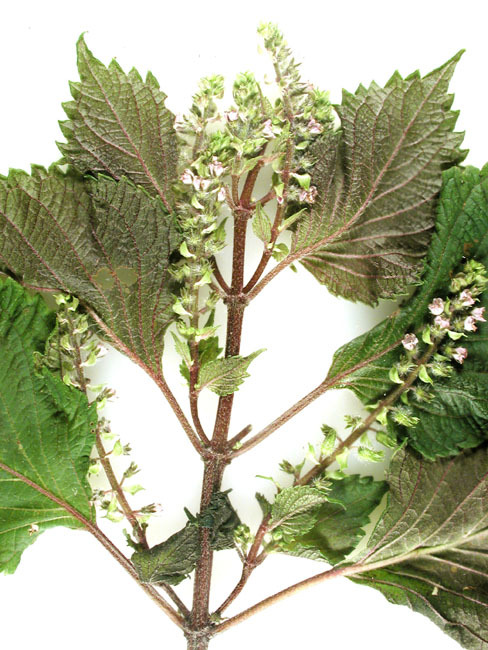 Perilla Mint is a toxic ornamental that has escaped from landscapes in the Southern U.S. and is now an established pasture weed. As a summer annual it grows in shaded areas up to a height of 2 feet tall. It is often identified by its purple shading on the undersides of the leaves. All parts of the plant are toxic to livestock, with symptoms including labored breathing and death. 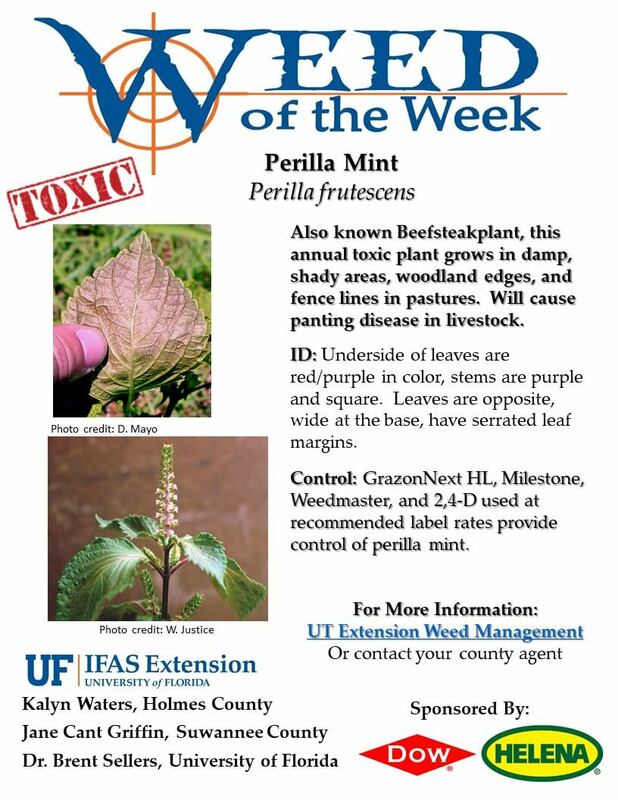 Late April to early June is the ideal time to scout your pastures for Perilla Mint. For help identifying weeds or developing a control plan for your operation, please contact your county extension agent. Holmes County Extension Director working in the areas of Agricultural Management in row crop, natural resources, livestock and forage production. Specialized in Beef Cattle Production in the area of reproductive, nutritional and finical management.